The annual event gamers look forward too more than Christmas has come and gone, and in it’s wake a ton of new content to salivate over for the coming months years. While this year’s show didn’t feel quite as epic as last year’s, there were still plenty of great moments and announcements to get excited about. Here are my top ten moments, announcements, and surprises from this year’s show! Though I never played the very first Prey on the Xbox 360, there have only been good things said about it. And this sequel of sorts seems to be no different. 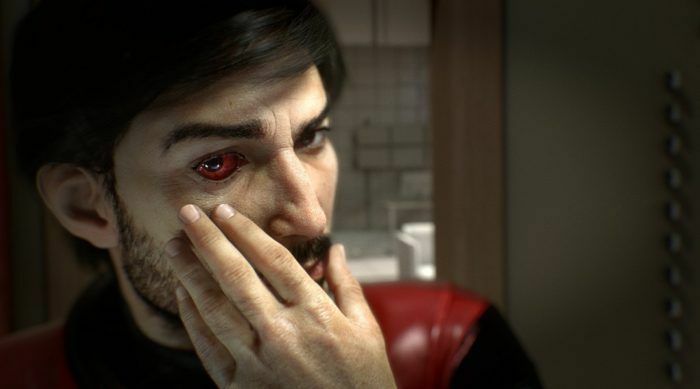 The new game, simply titled Prey, is being developed by the same studio behind Dishonored (which is also getting a pretty sweet sequel later this year), and it is taking the series in a new direction. With more emphasis seeming to be placed on psychological events than just run-and-gun action, this new Prey could be another huge hit for the company if this first trailer is any indication of the overall quality! Sony’s one time mascot will be making a come back on the PlayStation 4. The original trilogy of Crash Bandicoot games on the PS1 will be getting complete remasters for the PS4. Though this isn’t the revival fans have been clamoring for, it’s a start! I didn’t catch who will be developing these remasters, but Activision still has the rights to the IP, so presumably one of their many houses will work on the PS4 exclusives. 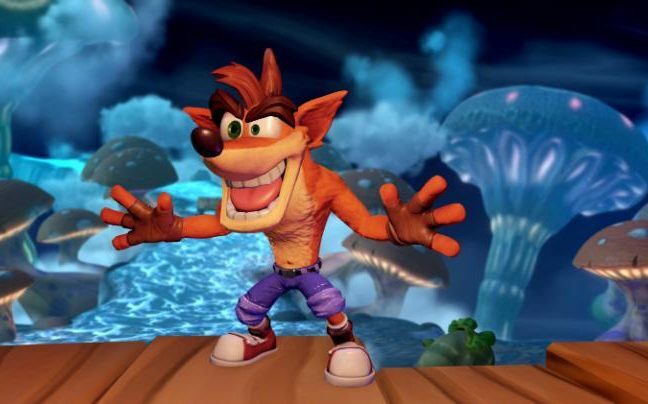 Also worth nothing, Crash will first appear in this coming fall’s Skylanders: Imaginators. As a guest character similar to last year’s Bowser and Donkey Kong in the Nintendo versions of Skylanders: Superchargers, Crash will be exclusive to the PS4 version of the game! Hooray for new toys! 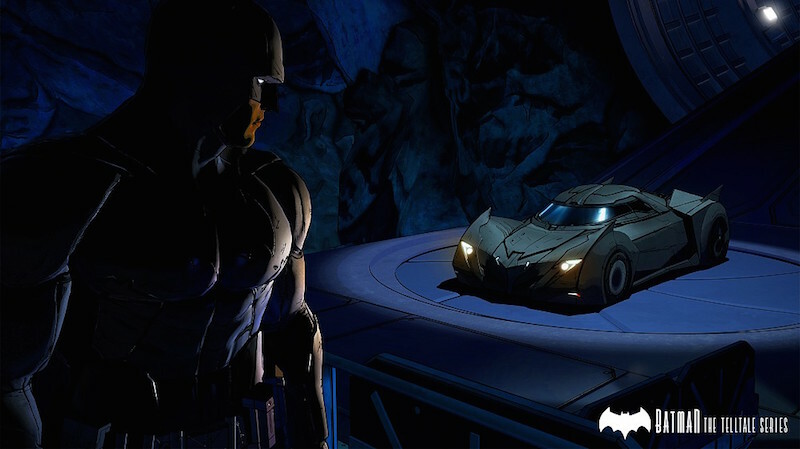 One of the first announcements I got really excited over was Telltale’s involvement in a new series centered around the caped crusader himself! Seeing as Telltale has made a name for themselves taking comic book franchises and creating quality visual novel video games with them, I can only imagine where the hopeful success of this title takes the genre. Think about it: The Walking Dead and The Wolf Among Us were very well received. If Batman turns out wonderful as well, perhaps Marvel will fall in line and we’ll get an Avengers themed Telltale series in the future! Oh, and this game looks to explore a bit more of the Bruce Wayne side of things, something not often seen at all in a Batman game. Here’s to you, Telltale! 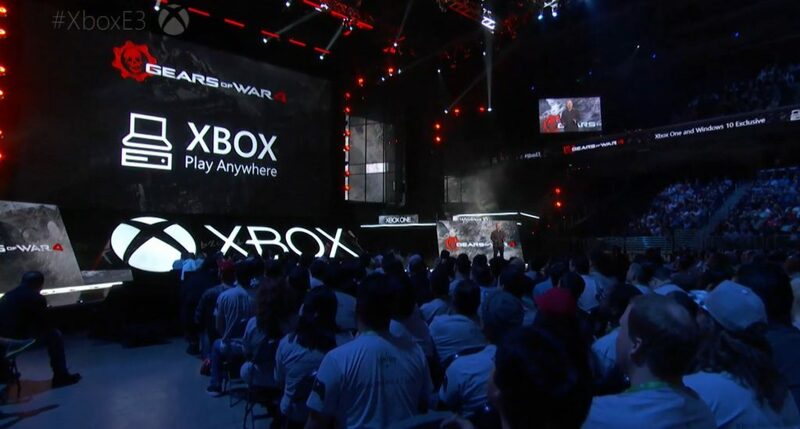 One of the only announcements that wasn’t about a specific game I actually thought was awesome was Microsoft’s and their Play Anywhere idea. Essentially, if you purchase a game on Xbox One you can play it for free on the PC. Alternatively you can buy it on PC (assuming you have Windows 10; hello free update!) and play it on Xbox One free of charge. It’s just like Sony’s cross-buy, but hopefully implemented in more games since more people have Xbox One’s and PC’s than PS4’s and Vita’s. Also, with these Play Anywhere games you can connect online and play with gamer’s on a PC version and an Xbox One version simultaneously. This is a really awesome feature that the entire industry should take to heart! Good luck, Microsoft! Still a sucker for fun toys, Nintendo’s new amiibo line for the upcoming (and newly announced) Mario Party: Star Rush on 3DS got me way more excited than it should have. 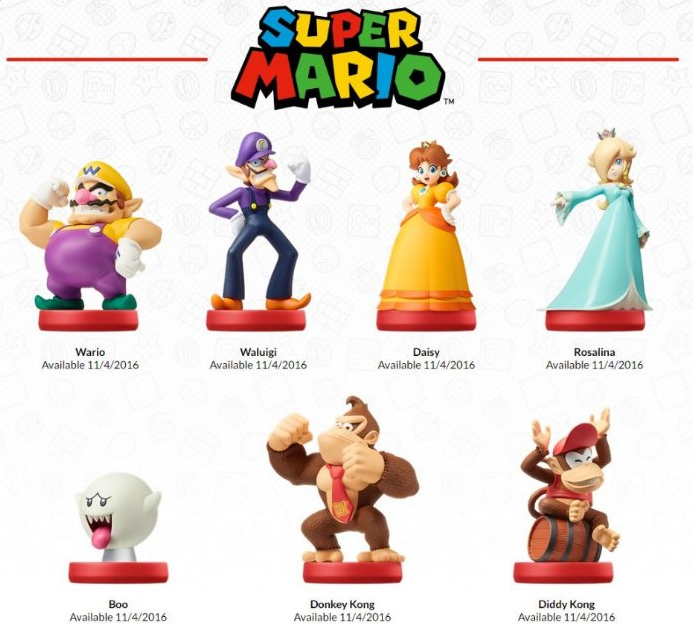 I mean come on: a Daisy amiibo?! That’s so cool! I hope it’s yells “DAISY” whenever I scan it into a game. And a Boo amiibo that lights up! Awesome. And then , the cream de la cream, a Waluigi amiibo. We’ve wanted it, and now we have it. Not pictured here are the arguably cooler Legend of Zelda amiibo, but we’ll get to those later. More toys are always welcome, guys! 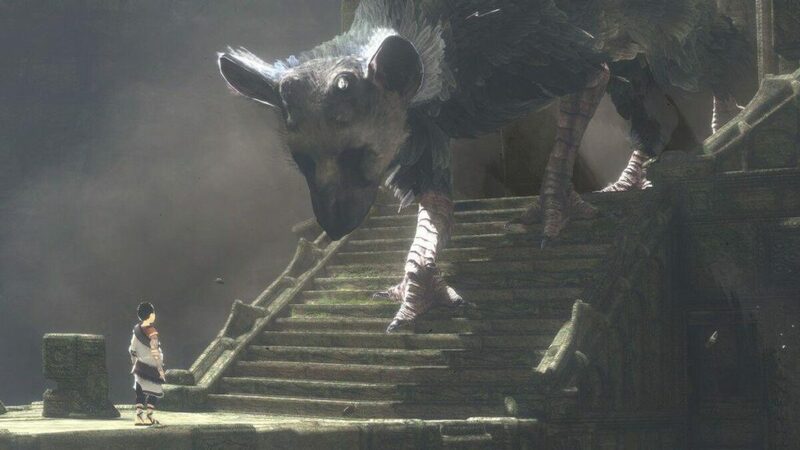 If we are to believe what Sony says then Team Ico’s LONG awaited The Last Guardian will be arriving on PS4’s this coming fall. The much hyped, much delayed game has been on countless outlets’ “most anticipated games of E3” since it was announced in 2007. 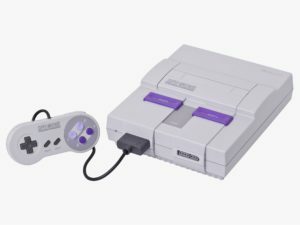 Nearly a decade later it’ll be playable for all. Even if this game turns out to be another Duke Nukem Forever, which I sincerely hope it will not, at least we can say it came out and it’s a real thing. 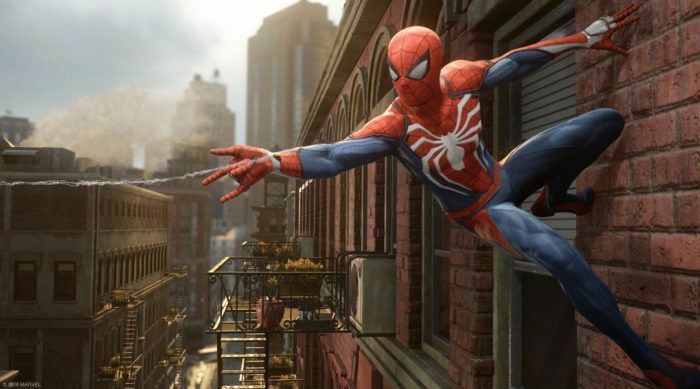 A brand new game starring Marvel’s Spider-Man from Ratchet & Clank developer Insomniac is coming exclusively to the PlayStation 4. Easily one of the comic industry’s most recognizable characters, Spider-Man has had a rocky history in the video game world, with a handful of great games to his name and a great deal more crappy ones. The trailer paints the wall crawler right, and hopefully the talents at Insomniac can bring the action and gameplay together to make a compelling and fun experience. They were given some creative freedom from Marvel with this one too, so expect an entirely different storyline from that of any comic series or movies! A new console for a new Kratos. Taking place in the Norse pantheon, Kratos and son (!) now must fend for themselves in the wild. 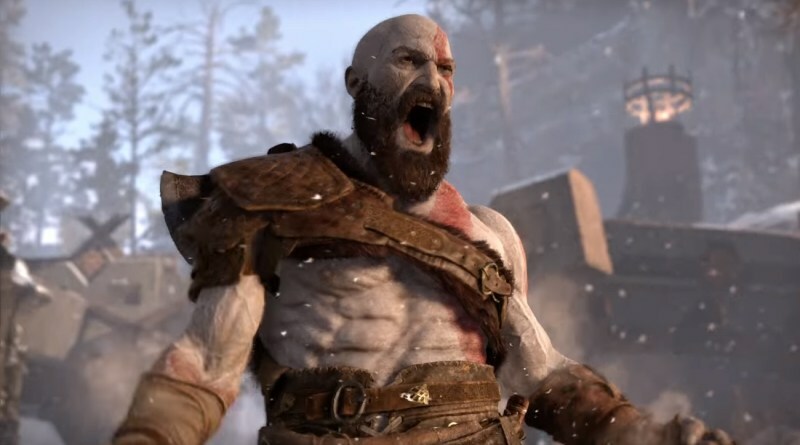 The game’s developers took a new direction with the series, asking why Kratos takes these actions, instead of just throwing the player into another do-or-die situation with new Gods. Having a son thrown into the mix, who is apparently with you throughout the entirety of the new title, will have major impacts on the gameplay and story. Avoiding any cliches, this game could turn out to be a fresh new take and launching point for the franchise. Bethesda announced a bunch of new content for older games, like Fallout 4 DLC and more information on the previously announced Dishonored 2, but the biggest announcement came in the form of The Elder Scrolls V: Skyrim Remastered Edition. Sure, it was speculated this game was going to come out, but finally seeing it as a real title made me realize I still haven’t even played the original game and now more than ever is a wonderful time to get started! Stunning visuals aside, the sheer quality of the base game alone gives this long standing franchise more legs. 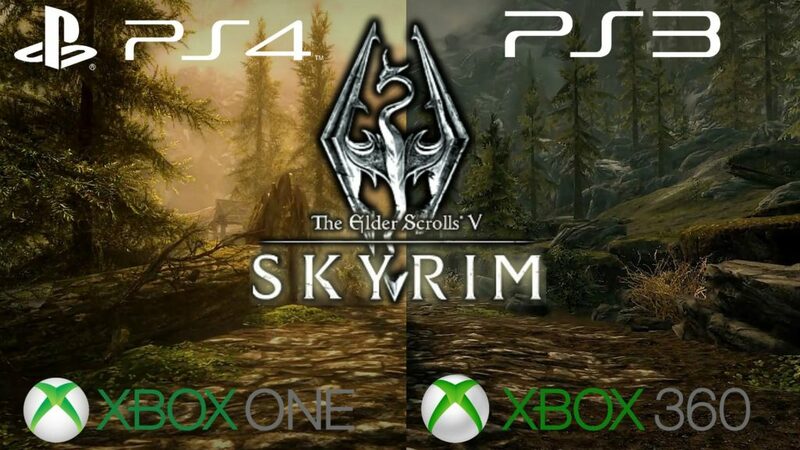 While The Elder Scrolls VI was hinted at, it’s still apparently a long way off, so until then we have a prettier Skyrim to keep us happy! I still think Nintendo made a mistake not showing off more games at this year’s E3 (presumably because they actually don’t have too many and are focusing on the NX), but hot damn if their show of force with the new Legend of Zelda didn’t impress. Dedicating nearly their entire show to the new game, The Legend of Zelda: Breath of the Wild was nothing but impressive every way you looked at it. The visuals were new, colorful, and stylish. The gameplay was different from past games in the series. The open-world exploration and new abilities Link has make me actually want to run around the world and explore. The combat looks fun and fresh. Hell, even the amiibo toys, which don’t really even do anything for the game, look awesome! Was it worth the wait to see just this one game at Nintendo’s E3 2016, probably not. But is there a game I’m more excited to get my hands on, Nintendo Wii U/NX or otherwise, than Breath of the Wild? No way! 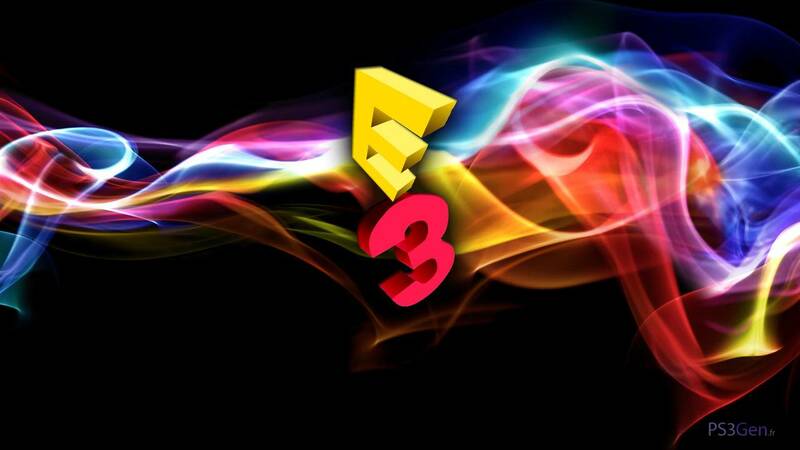 Those were my top ten moments from this year’s E3. Overall not quite as many new game announcements to get my gaming blood pumping, but I think there’s enough quality games here, and games that can be played for weeks and months on end, that we as gamer’s can be happy. What were your favorite announcements at this years show? Let me know!